Most neurodegenerative diseases are caused by pathogenic proteins. Pathogenic protein behaviour is governed by neurobiological mechanisms which cause them to spread and accumulate in the brain, leading to cellular death and eventually atrophy. Patient data suggests atrophy loosely follows a number of spatiotemporal patterns, with different patterns associated with each neurodegenerative disease variant. It is hypothesised that the behaviour of different pathogenic protein variants is governed by different mechanisms, which could explain the pattern variety. Machine learning approaches take advantage of the pattern predictability for differential diagnosis and prognosis, but are unable to reveal new information on the underlying mechanisms, which are still poorly understood. 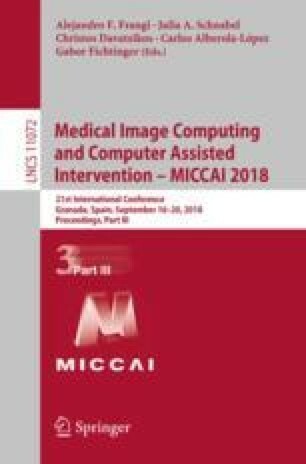 We propose a framework where computational models of these mechanisms were created based on neurobiological literature. Competing hypotheses regarding the mechanisms were modelled and the outcomes evaluated against empirical data of Alzheimer’s disease. With this approach, we are able to characterise the impact of each mechanism on the neurodegenerative process. We also demonstrate how our framework could evaluate candidate therapies. This work received funding from the Engineering and Physical Sciences Research Council (EP/L016478/1), the UCL Leonard Wolfson Experimental Neurology Centre (PR/ylr/18575), the Alzheimer’s Society UK (AS-PG-15-025), the Australian Research Council Discovery Early Career Research Award (DE170100128), the MRC (CSUB19166), the ARUK (ARUK-Network 2012-6-ICE; ARUK-PG2014-1946; ARUK-PG2017-1946), the Brain Research Trust (UCC14191), the European Union’s Horizon 2020 research and innovation programme (Grant 666992), the NIHR UCL/H Biomedical Research Centre and a Wellcome Trust Senior Clinical Fellowship [091673/Z/10/Z].